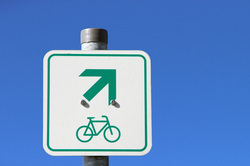 Synopsis: It's no secret that bicycle transportation is becoming more popular (and supported) here in Sacramento. If you've been downtown recently, you have likely noticed new green bike lanes and more bike racks and bike friendly establishments popping up around town. We even dedicate the entire month of May to increasing bicycle ridership during the annual "May is Bike Month" event (http://www.mayisbikemonth.com/). But, what's happening with bicycle riding in South Sac? Two Family Medicine residents, Deb and Ava, are determined to find out about the experiences of bicyclists in the South Sacramento area. How often do people ride? How safe do they feel? How could the riding experience in South Sac be improved? These are just a few of the questions that Deb and Ava will asking. This project is happening in conjunction with the Sacramento Area Bicycle Advocates (http://sacbike.org/) and Walk Sacramento (http://www.walksacramento.org/) with the intent of influencing the planning and development of South Sac neighborhoods.